GL Floors provides services to Architects and Designers from the first inception of a project all the way through to successful completion. Traditional values and craftsmenship lie at the heart of everything we do. be brought back to its former glory. 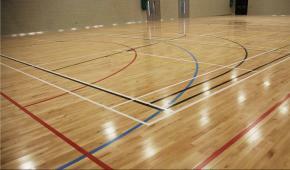 We supply floors for specific applications such as Squash Courts, Dance floors and Aerobics studios. 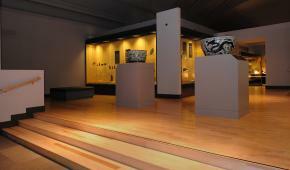 Floors for Community centres and Health Clubs. In the lifetime of the company we have supplied and installed well in excess of Half a Million square metres of sprung wooden floor throughout the UK. GL floors are totaly independant of all manufacturers and offer unbiased advice on the suitability of Hardwood flooring for a particular installation. We can assist you with technical support based on Our 50 years of industry experience. 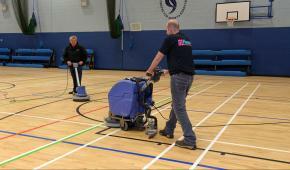 GL floors have many years experience in marking out court lines on all types of sports floor surface. Turn to the UK’s leading flooring contractor and you’ll not only enjoy high quality hardwood installations and excellent maintenance packages, you’ll also get a lifetime of care. At GL Floors, our skilled craftsmen install, refurbish and maintain your flooring, prolonging the life of your investment indefinitely.